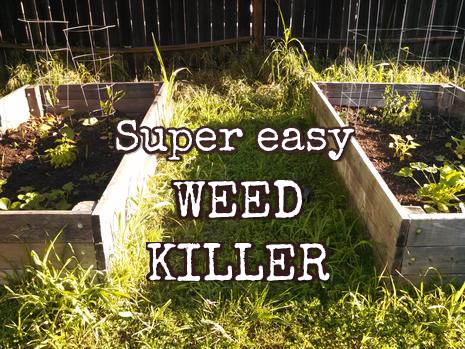 Subscribe to comments with RSS or TrackBack to ' Super Easy Weed Killer '. interesting idea on vinegar. however, my battle isn’t with a grass, it’s with snails. here’s a link that lists interesting plant varieties that monsanto now owns, because they bought a major seed producer’s patent portfolio: http://www.agardenforthehouse.com/2012/02/forewarned-is-forearmed-veggie-varieties-owned-by-monsanto/. it includes Early Girl tomatoes, which is particularly painful because Early Girl does excellently when “dry farmed” in this area, producing smaller, intensely flavored fruit that i have been eating and canning for years. another note, if you haven’t yet filled your tomato quota: one of the local Grocery Outlet stores is selling 1 gal “MightyMato” grafted tomato plants for $6 or so. grafted tomato plants are supposed to be more disease resistant and yield a lot better than non-grafted (i heard that directly from the woman running The Love Apple farm, who we’ve been buying tomato seedlings form for years). they cost $10-12 in most nurseries, and these ones are quite over-grown (2′ high) and too mature for their pots, which explains why GrosOut has them. they weren’t very well treated (soil was totally dry), but most seemed in a good shape. so we bought one and found a spot for it. it looks as large as the plants we’ve had in the garden for 5-6 weeks. Have you experimented at all with saving seeds? We’ve been discussing giving it a go this next year and I’ve just started looking for information. We don’t seem to have a snail problem, but I’ve noticed a growing number of slugs so I think I’m going to try a few things to see which works the best. I’ve seen a solution involving beer, another with eggshells, and a third with cornmeal. I have three raised beds, so I’ll let you know how it goes! 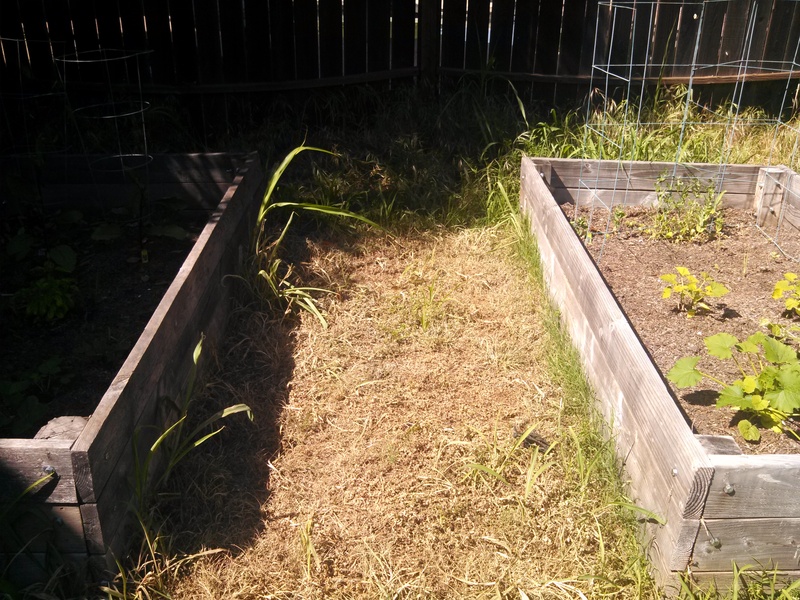 saving seeds: yes, with limited success. we’ve been having good luck with Aji Cristal and Rooster Spoor peppers over several years and with some cucumbers and squashes. no great luck with anything else. one particular failure was the Cherry Bomb pepper, that was excellently spicy when grown from a seedling we bought from the Master Gardeners sale, but had nearly zero heat when we grew it from the saved seed. this year we have had a whole lot of tomatoes come up on their own where last year we had an exceptionally tasty cherry tomato plant. we’ll see if that works out. on slugs: beer sort of works, if there is enough for them to drown in. sluggo (iron phosphate + slug & snail bait) works quite well and degrades into fertilizer, but is pricey. copper foil works _if_ you have a continuous barrier and the slug is forced to reach it from the wet soil — the galvanic reaction shocks it and the slug hopefully crawls off to destroy someone else’s garden.